The Sunken Chest dives into Mallhalla with three exclusive Skins! 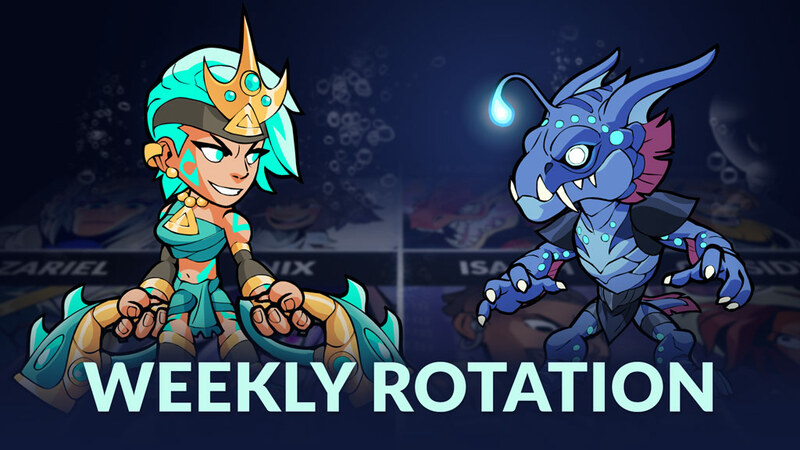 This week we’ve changed the Brawl of the Week to Team Strikeout, changed items on sale in Mallhalla, and updated what Legends are on the free-to-play Legend rotation. The Sunken Chest has surfaced and comes with exclusive Skins for Ada, Lucien, and Ragnir for a limited time! Three exclusive Skins: Atlantean Ada, Dreadnought Lucien, and Dark Depths Ragnir. Inspired by the treasures and mysteries from the depths of the sea. Plunge your opponents to the deep seas with these exclusive Skins! Queue alone or with a friend. 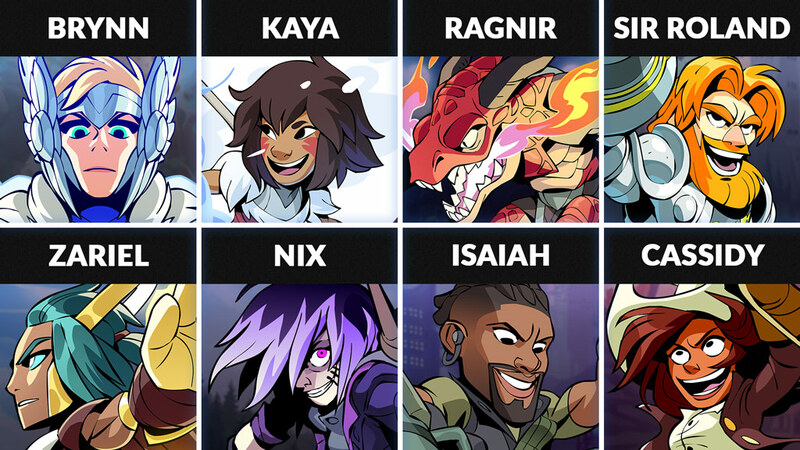 The new Legend rotation for this week includes: Brynn, Kaya, Ragnir, Sir Roland, Zariel, Nix, Isaiah, and Cassidy. Ragnir – This apex predator, whose home is in the Fangwild, now ventures outward using his Katars and Axe to take on the rest of the Legends in Valhalla!